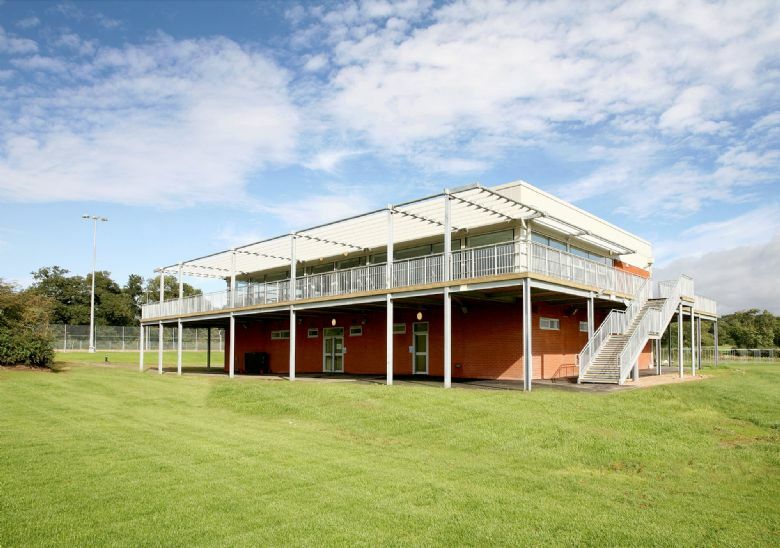 A stunning, standalone building set apart from the main school buildings, over-looking the sports fields, farmland and village of Great Glen in the distance. The Pavilion makes a wonderful venue for summer events. The large balcony and glass surround brings the outside in. Please note: We are unable to allow indoor fires, or outdoor fireworks on the school site. Tables and chairs as standard currently in the room. Use of the kitchen and bar area by professional caterers. Please Note: There are no oven facilities available. External caterers are welcome to bring in their own heating appliances. Please discuss this with us in advance. Limited availability during term time. Available most evenings/weekends during school holidays. Please call to discuss dates.